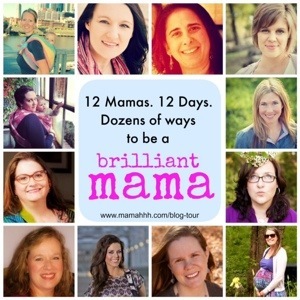 Jenni from Mamahhh asked me to be a part of the Brilliant Mama Blog Tour! I was grateful that she would think of me to be a part of a blog tour. I kind of felt like geeky freshman getting invited to the senior’s rocking party. So, yes, I’m excited to contribute to this blog tour. This week we celebrate Mother’s Day. My own mother is a wonderful source of inspiration. She honors my choices in motherhood, provides an ear when I need to vent, encourages me when I’m feeling down and I am so thankful that I get to be her daughter. Yesterday, we heard about feeding your family with love from Ashley Housley of Whistle Pig Hollow, , and tomorrow we will get to hear from doula, Staci Bishop of Nurturing You Naturally. 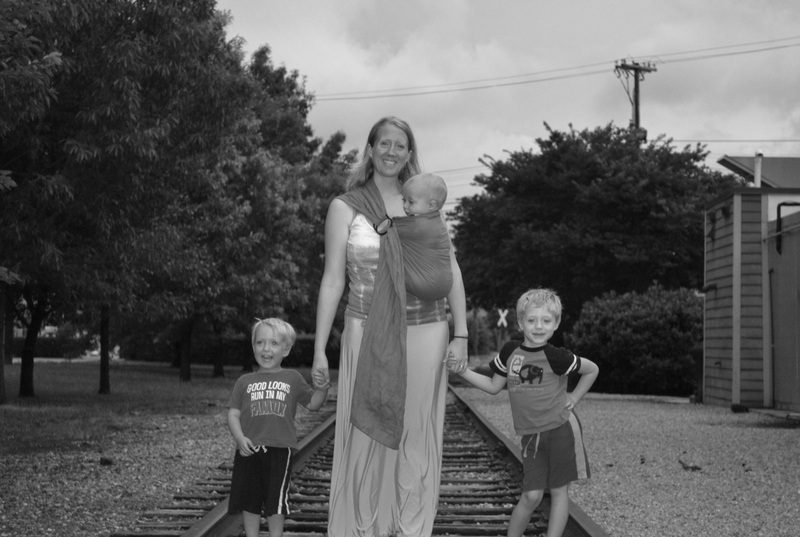 She’s got the story on how doulas love & encourage the brilliant mamas they support. Today, I am thrilled to share some of my ideas about birth and “brilliant mother love”. As a childbirth instructor, I want to inspire other women and families. I want them to know that birth can be magnificent, transformative, and normal. Birthing my three boys have been the best three days in my life. Those moments are the best because of the strength and love I received. I felt loved by my husband, I felt loved by myself. I discovered in those times of intensity that I am strong, that I am capable and I can do nearly anything. My children were nourished by my body, and each child gave me power and strength as they pushed their way to the outside world. Each of my children’s births have been pretty awesome. However, my second son’s birth is the one that has been my best. It sounds wrong to type that, I shouldn’t even be comparing the births because they are each unique and special in their own right. But that birth is the one that I doubt I could ever recreate again. It was so special because it was only my husband and myself in the room. The love overwhelmed me as I saw the calm in my husband’s eyes and I realized the midwife would not make it as we greeted our second child. That birth showed me what a completely physiological birth could be. That moment, that birth! The one that you remember every minute detail. The one where God was in the room. The birth where your entire outlook on birth transforms and you realize that even well meaning care givers can sometimes affect birthing positions and the emotional state of the room. I had no idea that birth could be so amazing. I underestimated that my second child’s birth could exceed my first wonderful birthing experience. He came so fast, it was intense. But it was in those few moments, immediately after Nick was born, my goodness, some of the best moments of my life. I felt in that moment, a higher power around us all. A power that protects us in all of our moments. A calming presence envelops the room. A comforting hand on my shoulder, my husband loves me. Feeling a soft wet head as it escapes my body. Reaching down, bringing the small purple body up to my chest. Still tethered by its life line. I grasp the clear membranes from the baby’s face, a sign of good luck to some. Whispers to the baby, “breathe, baby, breathe. Blowing gently, trying to stir the soul, baby gasps and looks into my eyes. It’s a boy. My heart swells at the awesomeness of birth. My baby is safe, I am safe. So powerful, so glorious, so uninterrupted. I am a mother, again. How did you feel when you gave birth? Were you surprised at your strength? Was it love at first sight with your baby? Did you have any idea that birth could be the most transformative experience of your life? I would love to hear your thoughts and birth stories. Remember to check out tomorrow’s dose of brilliant over at Nurturing you Naturally with Staci Bishop. In case you missed yesterday, check out the brilliant, Ashley Housley, and her post at Whistle Pig Hollow. Thanks for stopping by the Brilliant Mama Blog Tour! Sign up to follow all of our posts. If you are in need of childbirth education classes, check out Nashville Birth & Babies. We teach Hypnobabies Childbirth Education Classes. We have class availability for babies arriving in the Fall. I also blog at Nashville Birth & Babies. We are seeking local Hypnobabies birth stories to share with future Nashville Hypnobabies families. You can e-mail me at leighanne@nashvillebirthandbabies.com if you would like to submit your birth story to our blog. Thanks and have a brilliant day. This entry was posted in Home Birth, Women. I love this! It brought tears to my eyes. I am expecting my second child in July and this will be my first attempt at an unmedicated birth. I’m really looking forward to the experience- it’s so great to hear positive birth stories. Thanks for sharing! Ashley, I hope you experience exactly what you desire for this birth. I love this birth story. My little guy was eight weeks ahead of schedule, breech, and my placenta was starting to abrupt….so off to the or we went. I remember thinking, let me do this, I can do this, I want to do this. It has been a journey accepting my birth for what it was and stop judging myself as a failure. I appreciate your candor in the telling of your birth. It is inspirational. Thank you Dominique. I hope you will share your entire story with me one day.